With this framework, even a novice consumer can understand that the larger the carat weight, the better the cut, the cleaner the stone and ‘whiter’ the colour, the more the stone is worth. Further, with judgement at 10x magnification (common for diamonds), all of these elements can be verified to the nth degree for even the most nervous of clients. However, color gemstones and diamonds don’t depend on the same criteria as white diamonds to sell. 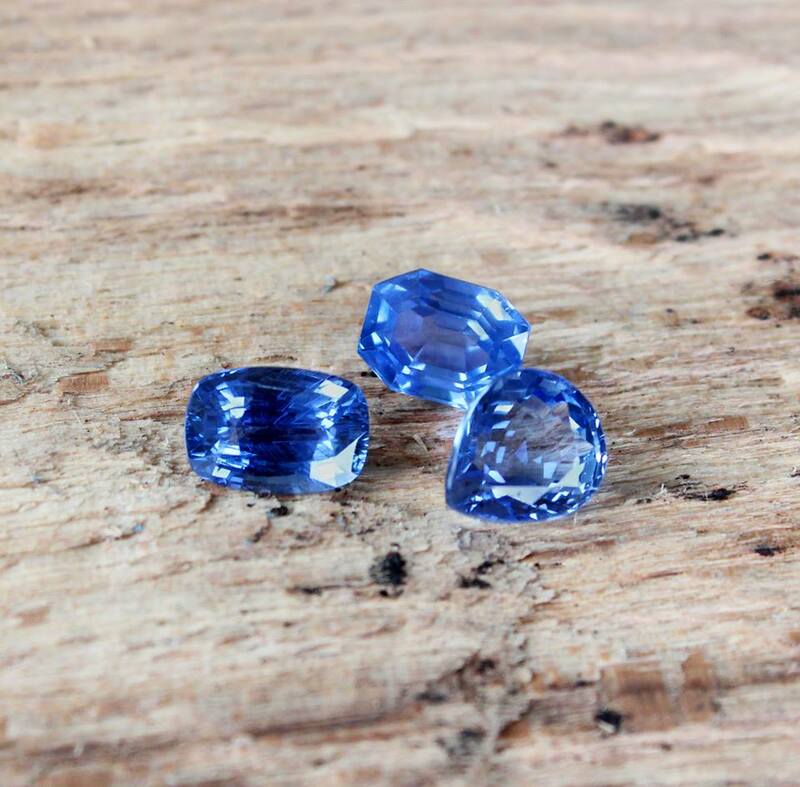 While Cut, Clarity and Carat weight are still important, color is most heavily weighted. As a general rule, the more intense the colour, the rarer and more valuable the gem. With rubies, sapphires and emeralds, the principles are the same, but not so easily quantifiable. This is not to imply that there are no standards. On the contrary, there are several basic points which are used to discern quality for color gemstones. 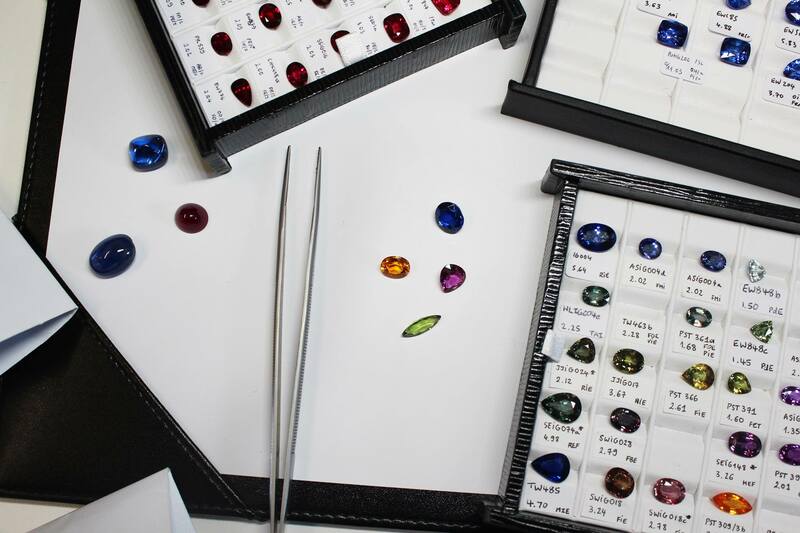 Colour is always going to be top of the list when grading gemstones, as with diamonds. With colored stones, the uniformity, beauty and quality of the colour is a primary determinant of quality and value. Colour is graded on strength of tone, with a stronger tone commanding a higher price, unless it goes too dark and the value is then severely diminished. Colour can vary sharply depending on the origin of the stone and this in turn affects value. When describing the concept of colour in gems, rather than using cold descriptive terms, use terms such as Vibrant, Fiery, Deep, Unique, Warm, Gemmy and Lively. It is much easier to build the image in the customer's mind when using these emotive terms. It will help them visualise how it will look in the environment that they will be wearing it. These terms also appeal to the egocentric side of the buyer, Vibrant, Fiery, Deep, Unique, Warm, Exceptional and Lively are all positive personality attributes, who wouldn’t want to buy a stone or piece of jewellery that is a reflection of their personality? Bigger stones are consistently considered more valuable than smaller ones. This is true to a point however; if all the other elements are at their maximum, best colour, fantastic cut, exceptional clarity, then smaller stones can be more valuable than those that are not. In fact the term for the large gem just described is "bluffy". Meaning it looks way better than it is, and on closer inspection has a lot of flaws. With colored gemstones, the intricacy of the cut does not affect the beauty and the reflection of light of the stone in the same way that it will for a ‘white’ diamond or colored diamond. 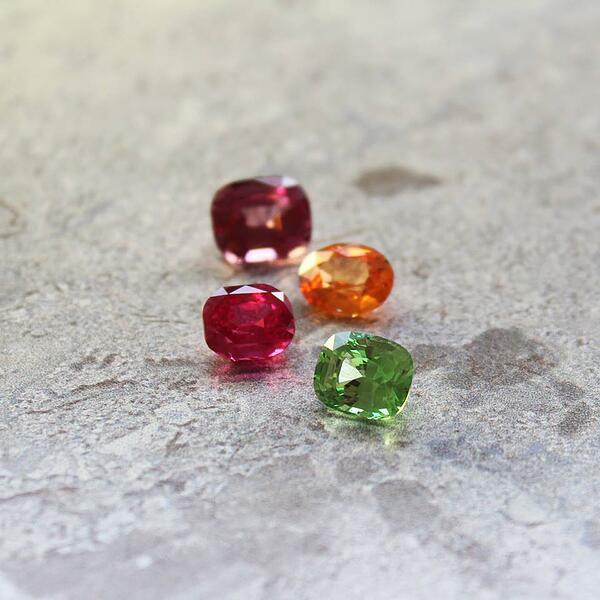 Colored stones have their own natural “glow”, which is only enhanced by the quality and style of the stone’s cut. 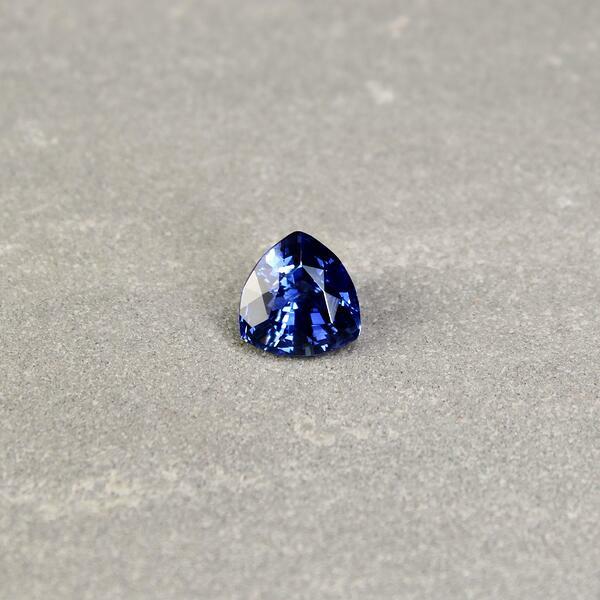 A simple cut can showcase the high points of a colored stone just as well as a complex cut. Unlike diamonds, a higher number of facets will not influence the values of the stone. In fact sometimes it may detract from the potential beauty of the stone. Colored diamonds are affected by cut in a similar way as ‘white’ diamonds, but still the most important factor of the stone is how it looks. So put the gemstone certificate down and look at the stone! Clarity refers to the stone’s lack of inclusions. It is worth noting that inclusions in colored stones are exceptionally common and only influence the price of a stone to a degree. Unless the stone is eye clean, or loupe clean, which can fetch a much higher price, conversely opaque stones will be a lot cheaper. Generally, clarity is measured with the naked eye, unless looking at very fine natural stones where the inclusions (or lack thereof ) make the difference between a lower price or a higher price. 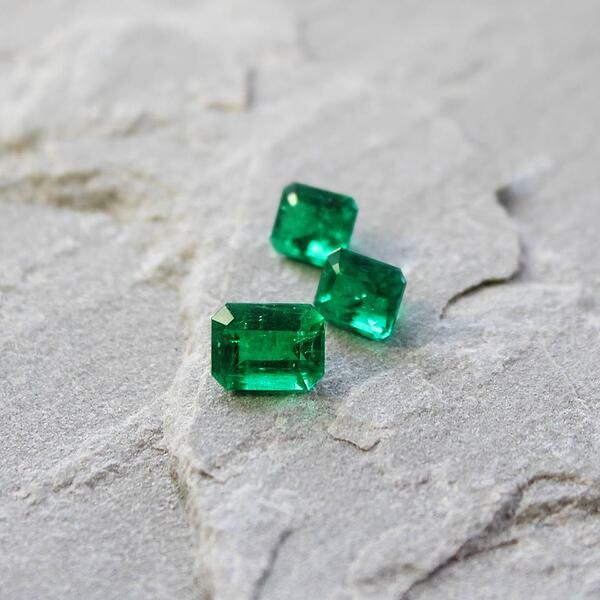 While emeralds almost always have inclusions, especially larger stones, these do not inherently devalue the stone. If inclusions are generally expected, then included stones becomes the norm and clean stones are out of the ordinary and fetch a premium. Try to avoid using diamond talk when describing clarity in gemstones. The general terminology is Loupe Clean, Eye Clean, small inclusions and included. Do remember, that this will normally be subjective. Sellers tend to be more flexible on this, buyers less so. the treatment has a significant effect on the value of the gemstone (e.g. heat treatment in rubies and sapphires, or oil or resin in emeralds, or irradiation in diamonds). Generally speaking, most gemstones undergo some treatment process. I would go so far as to say that it is normal for rubies, sapphires and emeralds to have undergone some enhancement process or another, which is quite acceptable, providing it is disclosed. For rubies and sapphires the most common treatment is heating. The stone is still 100% natural, but inclusions and colour impurities have been removed or reduced, or in some cases enhanced through heating at high temperature. Any further heating, especially on rubies, involves a glass like material being introduced this will melt at extremely high temperatures and fill any surface reaching cracks in the stone making it more stable, bright and clean. On the whole, emeralds undergo an oiling process. This is generally done using natural or synthetic oils and is used to fill any surface reaching crack (very common in emeralds). Natural oils will tend to dry up over time, but are deemed more acceptable by some customers than a synthetic resin which is permanent. The oils and resins are introduced using a vacuum and they are essentially sucked into the cracks and fissures. All treatments that artificially enhance colour must be declared! Stones that have an amazing look, but have not undergone any treatment at all, are extremely rare, generally 1% of output, are very expensive and are usually accompanied by at least one certificate to prove this fact. For Natural color diamonds, there should be no colour or purity enhancements. If there are, this must be made clear from the beginning, as it will severely reduce the price of the diamond. The origin of a gemstone can greatly affect its value. It is more important in rubies, sapphires and emeralds than in color diamonds, with the exception of pink Argyle diamonds. The biggest reason price is affected by origin, is that each geographical region gives a stone its own signature look. 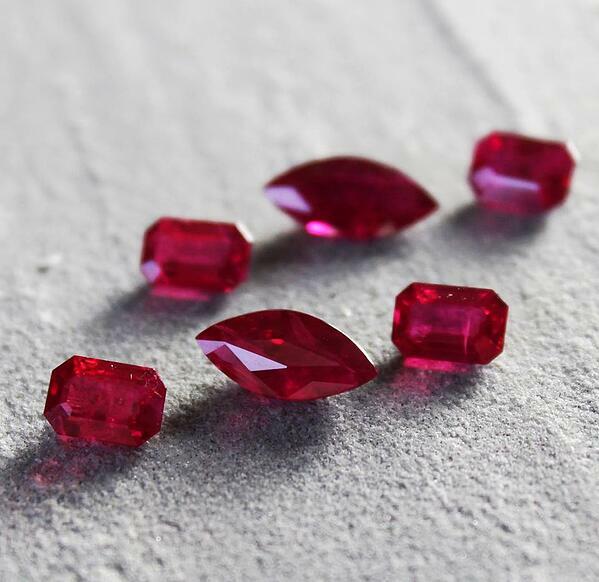 Burmese Rubies and Sapphires often look quite different to those from Mozambique or Madagascar. Ruby origins generally split into 2 main geographical regions. ASIA: Burma, Thailand, Vietnam, Sri Lanka. AFRICA: Mozambique, Tanzania Madagascar. Burma is most prized. 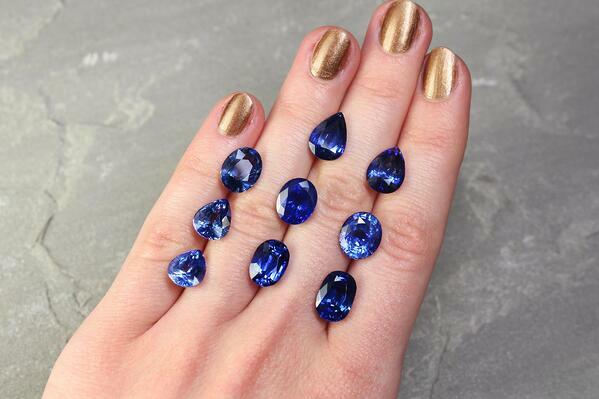 Sapphire origins follow a similar pattern to rubies, but the most sought after sapphires come from Kashmir, now mostly exhausted, then Burma, Sri Lanka, Madagascar, and other areas such as Thailand, Australia, China, and even Montana (prized mostly by Americans).